i. JAMES GREEN, b. London, England; d. 1806. JAMES GREEN (JOHN) was born in London, England, and died 1806. He married CASSANDRA BURTON in Virginia. She died Aft. 1804.
i. WILLIAM GREEN, b. 1805, Shelby County, Kentucky; d. Aft. 1880.
ii. JAMES GREEN, b. 1798, Bourbon County, Kentucky; m. EMILY WASHBURN. WILLIAM GREEN (JAMES, JOHN) was born 1805 in Shelby County, Kentucky, and died Aft. 1880. He married (1) ARTEMICIA CARTER, daughter of JAMES CARTER and JANE WILSON. She was born 1816 in Fleming County, Kentucky. He married (2) EUNICE REDMON, daughter of GEORGE REDMON and HENRIETTA NOLAND. She was born April 07, 1802 in Shelby County, Kentucky, and died August 29, 1876. Family found on the 1860 census in Simms, Edgar County, Illinois. William is listed as 55 and being a farmer. Eunice is 55, Charles F. is 30 and with his wife Rachel (24) and daughter Cinderella (7 months) are also residing in the home. WILLIAM. GREEN, farmer, Sec. 13; P. O. Paris; is a native of Shelby Co., Ky.; son of James Green, who was a native of London, England; Mr. Green was born in 1805; came to Edgar Co., in 1825; had learned the trade of tailoring before he left Kentucky; this he followed about three years in Paris, then began farming; but still worked at his trade during cold weather for a number of years; while a boy, he had no opportunities of getting an education. Was married on February 24, 1827, to Miss Eunice Redmond, of his native place (Edgar County, Illinois); she passed away Aug. 29, 1876, leaving four children — George W., Cinderella, Charles F. and Elizabeth, now deceased; at the time of beginning business for himself, he had no assistance, but by hard work and good management, he has accumulated property enough to help his children liberally and have 125 acres of good land left; he is one of the older pioneers of the county, well known and respected by many friends; can look back with satisfaction upon his efforts to accumulate property for his old age and for his children. i. CHARLES FRISBEE GREEN, b. July 1829, Edgar County, Illinois; d. Aft. 1900. CHARLES FRISBEE GREEN (WILLIAM, JAMES, JOHN) was born July 1829 in Edgar County, Illinois, and died Aft. 1900. He married RACHEL ROCH December 21, 1858 in Edgar County, Illinois. She was born August 1840 in Indiana, and died Aft. 1900. Family found on 1870 census as living in Symmes, Edgar County, Illinois. Charles is listed as a farmer with a personal estate value of $600. He is 38. Rachel is 32 and keeping house. Children are: Cinderella (9), Eunice (7), Charles S. (5), William M. (3) and Lueanne (1). Found on 1900 census in Symmes, Edgar County, Illinois. Shows Charles Green as a day laborer, out of work for 4 months at age 60, Rachel at 59. Shows she was born in Indiana. Her Father born in Maryland and her Mother born in Pennsylvania. Child listed is Charles Green age 10. Also living in the household was Cindy Cenida (41) and Jessie J. Cenida (3). 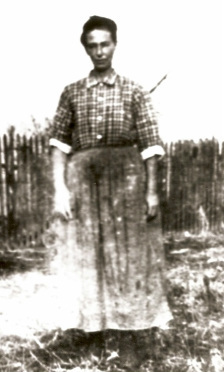 i. CINDERELLA GREEN, b. September 1858, Edgar County, Illinois; d. Aft. 1900.
ii. EUNICE "NICY" MAY GREEN, b. May 12, 1861, Edgar County, Illinois; m. NOAH STAGGS, Abt. 1886, Edgar County, Illinois. She died March 2, 1930 in Paris Township, Edgar County, Illinois. iv. 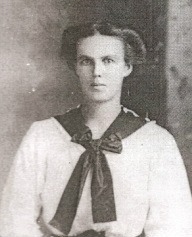 LUEANNA GREEN, b. September 29, 1865, Edgar County, Illinois; d. July 18, 1927, Independence County, Arkansas. vi. JAMES GREEN, b. Abt. 1870.
vii. CHARLES GREEN, b. Abt. 1876; d. Oklahoma. Never married. CINDERELLA GREEN (CHARLES F., WILLIAM, JAMES, JOHN) was born September 1858 in Edgar County, Indiana, and died Aft. 1900. She married CENIDA. i. JESSIE J. CENIDA, b. January 1897.
vi. CHARLES ELMER KELLER, b. August 01, 1890, Parke County, Indiana; d. June 27, 1960, Newport, Arkansas; m. IRA LEE GIFFORD, October 22, 1916, Tuckerman, Jackson County, Arkansas; b. July 03, 1900, Tuckerman, Arkansas; d. March 10, 1986, Batesville, Independence County, Arkansas. xi. MARY JANE KELLER, b. September 02, 1907, Ada, Oklahoma; d. February 28, 1995, Batesville, Arkansas; m. CARL TRIPP, Independence County, Arkansas. February 24, 1827 in Edgar County, Illinois, daughter of October 25, 1914, Oklahoma.